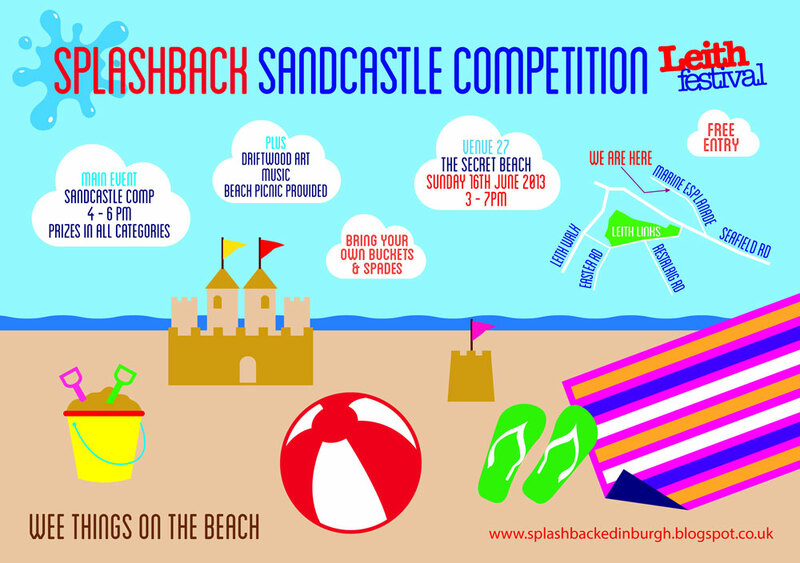 Back when Splashback campaigners thought they were working in partnership with the council to re-open Leith Waterworld, the group successfully won some funding for a community building sand castle competition day from Leith Decides. The event was supposed to be a community engagement event – to celebrate and communicate the work done so far towards re-opening the leisure pool. 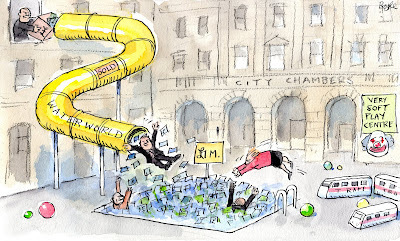 Months later, and although the council have now agreed to sell off the pool off for soft play instead, Splashback still had the cash to organise the sandcastle competition. So they did, as a celebration of what could of been and a thank you to all their supporters. And so it goes that loads of folk turned out to take part in the first Leith Festival sandcastle competition, hosted on the “secret beach” outside Leith Docks. There was food, and laughter, and kids and kites and accordion playing, not to mention competitive parents. Kudos therefore to the Splashback volunteers for coming up with a creative way to get people engaged in a public space which is hardly ever used, or even on many people’s radar. In all there were about 20 entries in the sandcastle competition. The photo above shows the winning sand castle. 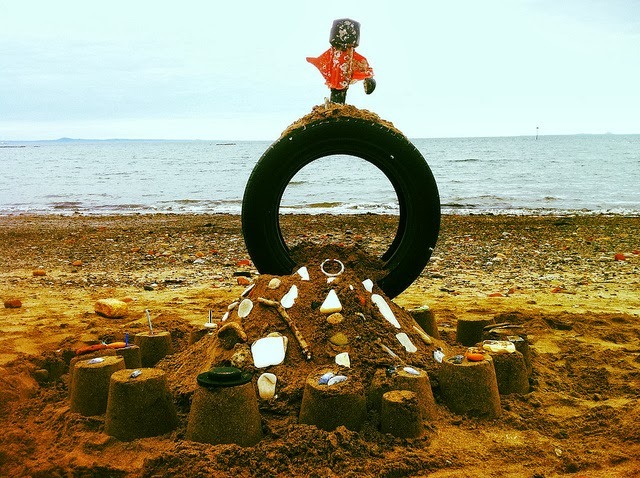 And this Vine below, captures just some of the other amazingly creative sandcastles.